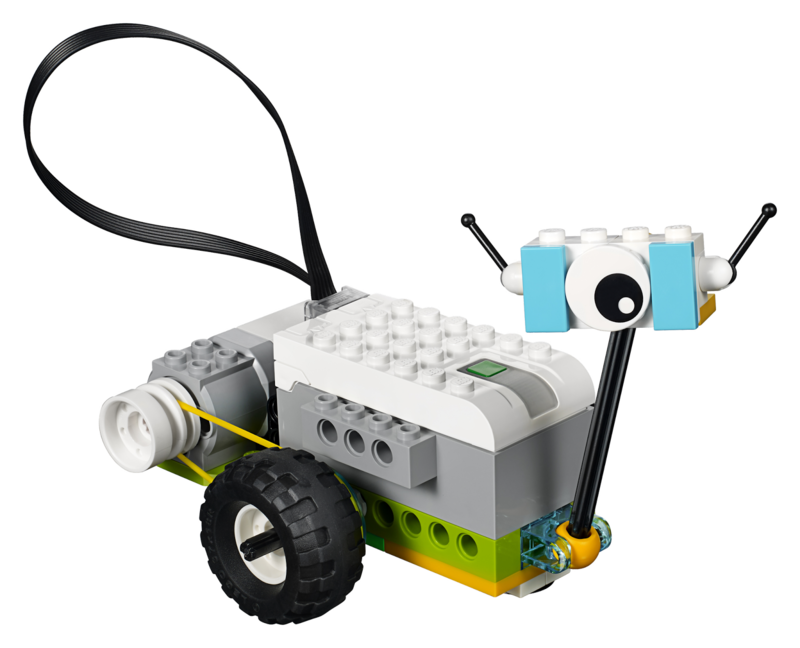 WeDo came to market in 2009, geared towards starting robotics with primary school children. The first version of WeDo had a USB tether or hub to which 1 motor and 1 sensor or 2 sensors could be connected. The software runs on a computer that acts as the brain of the gadgets that are built with LEGO elements that are mostly from the System catalogue (stackable rather modern "Technic"). Version 2.0, which was presented today, comes with several important updates to this earlier platform. The main novelty is the fact that the new hub is not tethered, but rather a kind of intelligent battery box (for standard batteries or a separately sold battery pack) which connects to the computer via BLE (Bluetooth Low Energy). This makes it possible to program the hub, not only via a computer, but also from a portable device (iPad/Android tablet) or even a Chrome Book (the latter in the second half of 2016). In the following image you can see all the electronic elements in the set: the hub, a new motor and two sensors. The sensors are said to be more advanced, but it remains to be seen whether that is because the software now includes options that were already available in Scratch or because they are really better. The software for WeDo 2.0 can be downloaded free of charge, but LEGO also offers a paid curriculum pack with +40 hours of lesson plans. 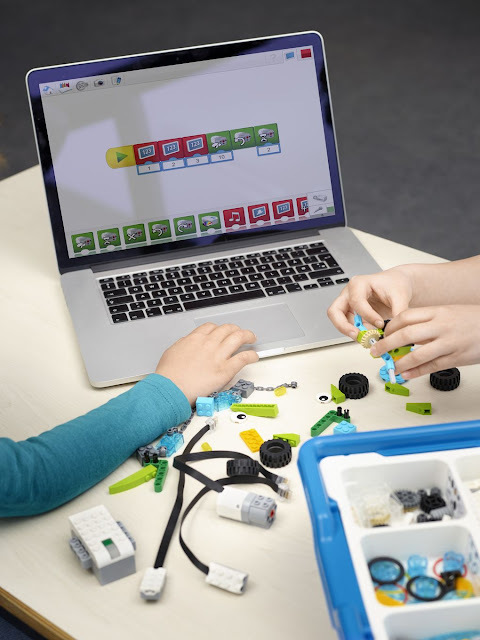 It looks like the price of the new set will be around €160, which sounds quite good, taking into account the technological update, the fact that the software is now included and the larger number of elements that in the first WeDo set. Q: Why do you call the elements PF when the connectors are not compatible? A: We call them PF because it is linking up to the new platform. WeDo 2.0 is not compatible with the old WeDo. 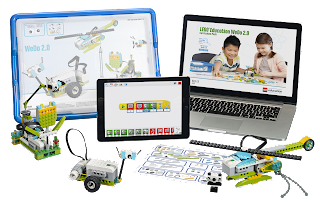 Although all future PF will be compatible with the new platform introduced with WeDo 2.0. This has enormous implications as it sounds like PF is moving into a new direction, with 6 wire cables and different connectors that could enable completely new possibilities! Time to start speculating!! Glad to see you posting again. This is quite interesting! I can't wait. I really can't. This is indeed very interesting. Time will tell if the change in look and increase to 6 wires will make a better system than the current PF system.